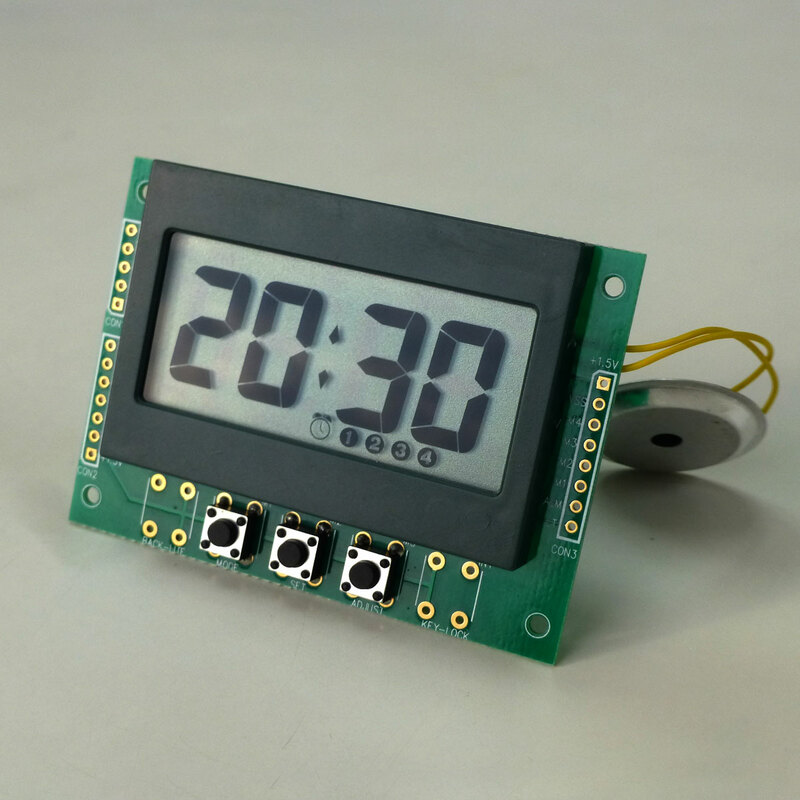 24-hour version digital LCD 4 channels of daily reminding clock module with 3 keys. Each reminding channel has its own individual output pole. Optionally all reminding channels may share the same output pole too. 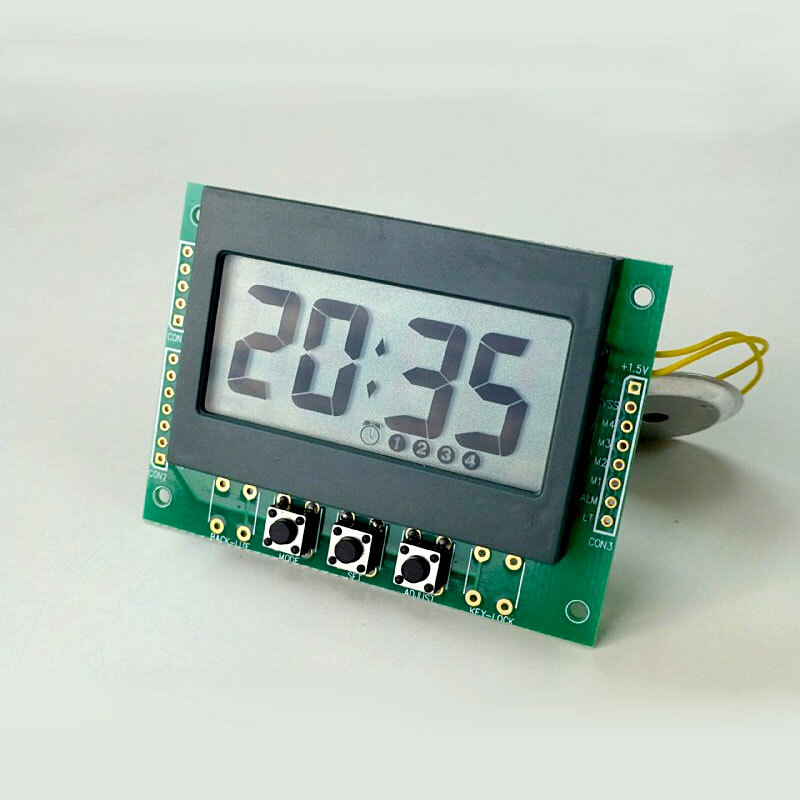 It operates 1.5 V DC with extremely low power consumption. AAA (UM4) battery holder is mounted on the rear side. 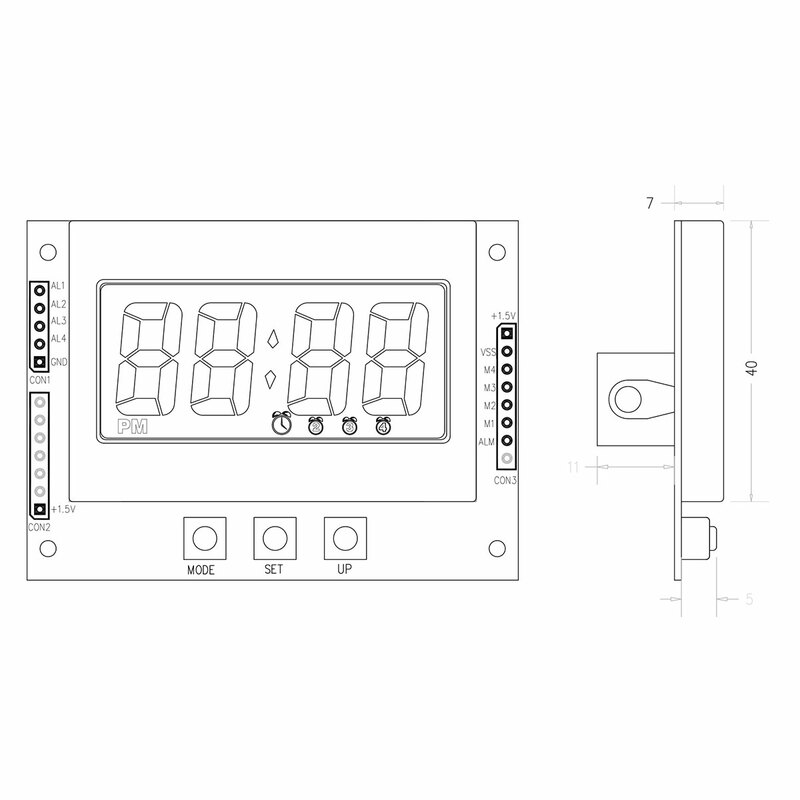 Soldering pads for power input, buttons, and output poles are arranged at both sides of PCB for external connection. 12-hour version is available too.